Fabiano Continanza was born in the city of Berne, Switzerland in 1974. He holds a PhD in Architecture from the Politecnico di Milano, graduating in 2002. 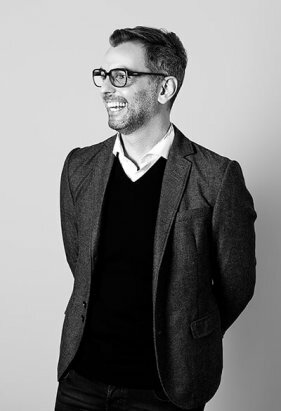 The significant work as a researcher and computer-based designer that he has carried out at leading architecture firms over the past decade, focusing on the relationship between architecture and new design tools, led Fabiano to join Sordo Madaleno Arquitectos as its new Project Director in 2017. Driven by exploration of space and a desire to introduce digital tools to revitalize the designer’s role, Fabiano directs several new projects in the architecture department, developing new ideas and concepts that complement the style and creative processes at Sordo Madaleno. Prior to joining SMA, he received important professional experience at the firm of Italian architect Stefano Boeri, developing projects including the Museum of the Mediterranean in Marseille and the New U.C. Sampdoria Stadium in Genoa. He subsequently joined Zaha Hadid Architects at their London HQ for a series of challenging projects, such as the New Headquarters Building for the Central Bank of Iraq, the New International Culture and Art Center in Changsha, Spiralling Tower in Barcelona, Sunrise Tower in Kuala Lumpur and the Central Business District in Beijing. After leaving ZHA in 2015, he moved to Mexico City to focus on the research and promotion of Parametric Design in an academic context. In addition to teaching at the Universidad Iberoamericana and the Tecnológico de Monterrey, he has written two books—The Nature of Robots and Zaha Hadid, Graphic Space Vol. 1—related to the connections between technology and the profession, as part of his attempt to describe, analyze and introduce a new form of working in architecture.